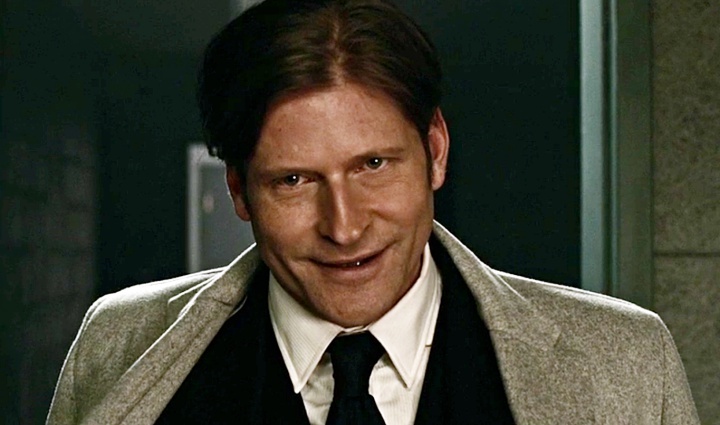 Guys, you know Crispin Glover, right? You know the kinds of dudes Crispin — whose middle name, btw, is “Hellion”) plays, right? He tends to choose fellas who’re just a little different (cool, cool), and he has a way with portraying creepy characters that gets a little under your skin. Mr. World is no exception. They’re not too far off from the kinds of dudes Jonathan Tucker aka Low Key Lyesmith (Shadow’s cellmate) plays, and without getting spoilerish, let’s just say that commonality may come into (ahem) play sometime soon. Like Technical Boy and Media, Mr. World is a New God (as opposed to Old Gods like Mr. Wednesday, Czernobog, Anubis … ), and since a few book details have already been switched around a bit, we don’t exactly know if things involving Mr. World will play out similarly; what we do know is that he’ll show up all creepy-like in this Sunday’s fifth episode, “Lemon Scented You”. Heck, even Wednesday looks concerned, and he never looks concerned. I’m just saying, if the old gods know how to reverse time, now might be the moment. American Gods airs on Starz. 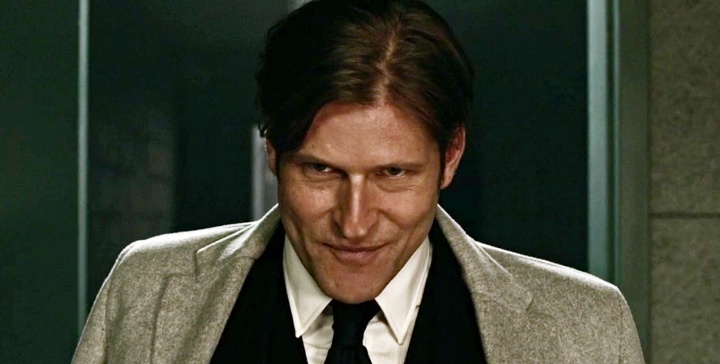 Tags: American GodsAmerican Gods E5Brian ReitzellBryan FullerCrispin GloverCrispin Glover's middle nameCrispin Hellion GloverIan McShaneJonathan TuckerLemon Scented YouLow Key LyesmithMichael GreenMr. WednesdayMr. WorldNeil GaimanNew Godsold godsRicky WhittleShadowShadow MoonstarzWednesdayWhat is Crispin Glover's middle name?Who is Mr. World?